Stephen Devassy is a man who built himself upon his dreams. He did his schooling at 7th day Adventist high school, Ottapaalam from where he started walking into the world of music. He got his first ever keyboard of his own, as a gift from his Dad PK Devassy, from when and where he started to pave his way forth as a musician. Stephen had started to learn to play keyboard since when he was in the 5th standard. He used to perform in churches even during his small age which finally gave him the confidence to present himself in a show before the public, and that too when he was in the 8th standard. As he made his way to NSS College, Ottapaalam to do his pre-degree, he had made up his mind not to let go of music ever in his entire life. This gave him the motivation to develop himself and gave him the opportunity to do his first tour abroad while he was in the first year of his pre-degree, with the legendary singer Padmashree Hariharan. The passion in him grew to know no limits with what he achieved his degree and a record by completing his 8th grade piano at the age of 16 from Trinity College, London. His keyboard tutor was Leslie Peter and his Piano teacher was Fr.Thomas Chakalamattath, Chetana Academy at Thrissur. 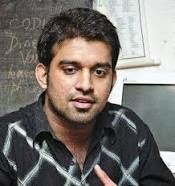 Stephen Devassy never found it hard to be active in the NCC too, along with his experiments with music. He still finds his selection of being one among the only 3 NCC cadets selected from Kerala to represent the state, for the Republic day parade at Delhi during the year 1998, as one of the greatest recognitions he has got. A R Rahman's music has influenced Stephen to explore more about the technical aspects of Sound Engineering and Music Production. He started recreating the tones used in ARR songs. This interest developed at a very fast rate and Stephen started doing keyboard programming for many leading music directors in Malayalam. Passion for music took him to next level, when he shifted to Chennai during 2003. His music programming skills gave Stephen an own identity in the Tamil industry and soon he became one of the busiest keyboard programmers in the industry. His music production style took him to the Bollywood scene, where he worked as the programmer for music directors like Shankar-Ehsaan-Loy, Anu Malik etc. He has worked with more than 50 music directors in many Languages like Hindi, Tamil, Malayalam, Telugu, Bengali, Kannada and programmed over 2000 songs. In association with Kosmic Music, Stephen has also set to tune, Sanskrit slokas, Mantras and Verses from the Upanishads, with the background of western music called "Sacred Chants" of Kosmic Music. His instrumental albums includes "Romanza" and "Different Vibes". He has also composed REX Band's International albums. Stephen's career as a music producer began to deviate eventually as his need to become a live performer began to increase. His schedule became filled with more and more shows which in turn boosted his popularity and thereby making him the most wanted Keyboard and Keytar live performer in India. He does shows on a regular basis ranging atleast 10-12 shows a month in India and abroad . Stephen’s playing accent and the perfection he maintains, made him the youth’s idol. He is undoubtedly the fastest keyboard player and his swimming fingers on the keytar have always pushed the audience to the state of awe. The energy he delivers while playing the instrument makes him enjoy each and every note he plays, which in turn tells a story to the audience. Any musician or singer is happy to perform on stage, if it’s Stephen on keyboard. His on stage association with A R Rahman started with the Jai Ho tour starting with Jai Ho Calicut show. A call from the man ARR himself was like the perfect catalyst for his caliber and dedication to music, which he considers to be a gift from God. Stephen always wanted to do something for the aspiring youth and wanted to provide quality education for them in the field of Audio and Music. Thus in 2010 with his brother Sam, he completely developed Muzik Lounge studios, which they had started at Chennai in 2007, into Muzik Lounge school of Audio Technology at Chennai with the latest state of the art technical support with a vision to provide international standard education. His family includes his Dad PK Devassy, Mother Susy Devassy, Elder Sister Biju Solomon & Elder Brother Sam Devassy . On 16th November 2010, Stephen found himself a partner to share his life with, namely Jesna Joy.